Complete Performance 20 lbs. 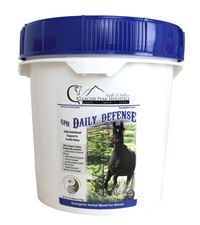 - Jacks Inc.
A complete high potency multi-vitamin and multi-mineral formula with amino acids. 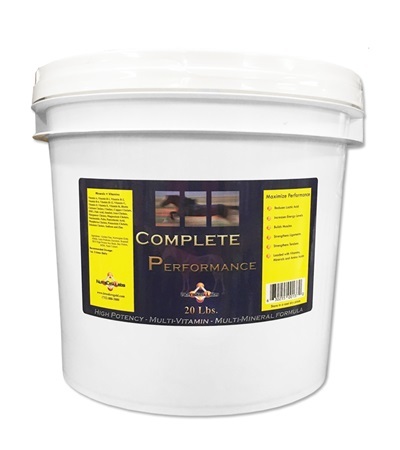 This is a special blend of all the most important nutrients put together in a balanced formula strengthening bone, tendons, and ligaments. 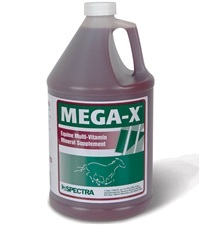 Reduces Lactic Acid, improves coat condition, aids in digestions and increases energy level to put your horses in first class health. 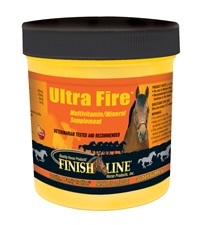 Finish Line® Ultra Fire™ 15 oz. 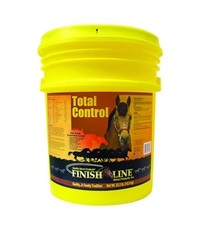 Finish Line® Total Control® 23.2 lb.